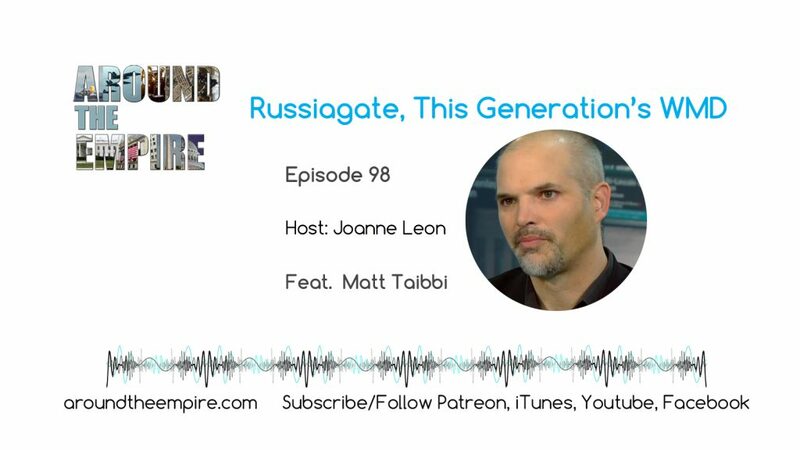 Journalist and author Matt Taibbi joins the show to talk about his latest book chapter, titled: “It’s official: Russiagate is this generation’s WMD: The Iraq war faceplant damaged the reputation of the press. Russiagate just destroyed it” and we discuss some corporate media reaction to the piece. We think back on the changes to American policy and American life brought about by the WMD lies, the Iraq War and the War on Terror and the likelihood of serious, real world consequences of the Russiagate conspiracy. This is one of the reasons why it’s so important to re-examinine the origins and details of the Russiagate story now that it has collapsed. But even as the Russiagate conspiracy collapses, the curiously bipartisan consensus on the matter of Russia being a threat to our democracy lives on — or at least the establishment and national security state are working hard to make sure it survives even if all or most other aspects of the narrative die.